Discover how to mix the hues of nature in watercolour. Starting with just three colours, you will explore how to mix and match a whole range of colours seen in seasonal subjects. 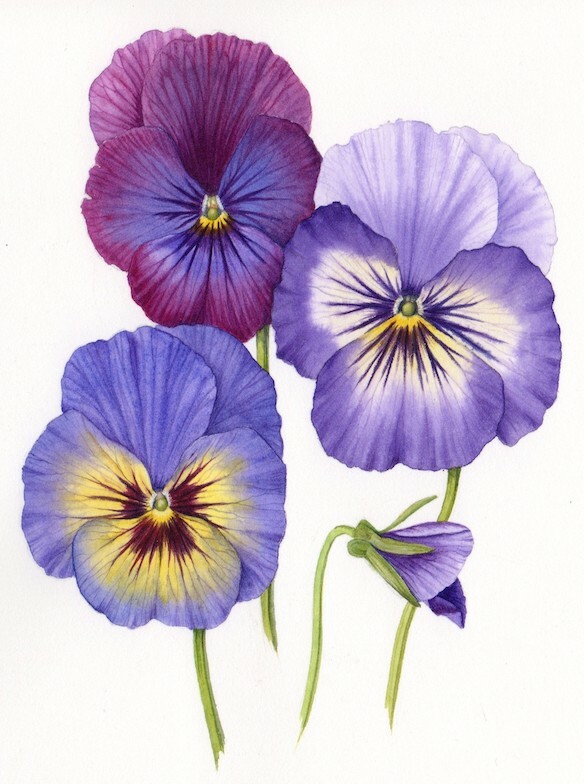 You will be introduced to watercolour techniques used by botanical artists and how to apply them to your chosen subject. Suitable for all levels. The session will be delivered through group presentation and discussion, tutor demonstration and individual one-to-one help. Discover how to mix the hues of nature in watercolour. Starting with just three colours, you will explore how to mix and match a whole range of colours seen in seasonal subjects.